I am a huge fan of Tarte cosmetics. They hardly-if ever, disappoint, and I love that their products are pareben free and gentle on my sensitive, acne prone skin. I spotted this BB Tinted Treatment 12-Hour Primer ($34.00) over at Sephora a little while ago, and I just had to give it a try. I am familiar with BB creams, but a BB primer was something that was totally new to me. I just had to know more! 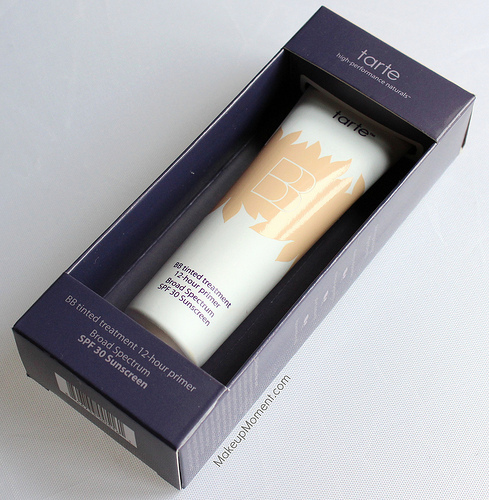 Tarte's BB Tinted Treatment 12-Hour Primer comes in four color choices-fair, light, medium, and tan. I went with the light shade and it's a great match for my NC 25 skin tone. The eco-friendly tube packaging is just lovely! It's very sleek and hygienic, too. Like most primers, the texture of this is super smooth. Almost like velvet. I find applying with clean fingers is what works best for me. The job is done in a cinch, and I feel like I get a more seamless result that way. Before trying this BB treatment primer, I initially thought that the coverage would be of the sheer kind; non-existent, really. But to my surprise, this stuff doesn't skimp in the pigmentation department. Although buildable, one layer is usually sufficient enough for me. After application my face is more even in tone, my pores are diffused, my acne scarring is blurred out, and my skin has an overall smoother appearance. I was literally astonished with the results. Who would have thought that a face primer could do such wonders? I sure didn't! If your skin is in the drier side though, I recommend applying a moisturizer beforehand, as this product has the tendency to stick to dry patches. 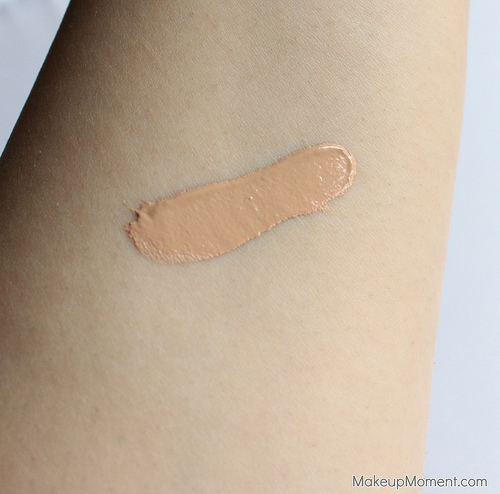 This primer can be used alone, but I like a little more coverage so I apply my foundation over it. I find that my foundation goes on much smoother, and I even noticed that I use less of it because this primer basically does most of the concealing work for me. I love it! And as for the 12 hour lasting bit, this product does not disappoint, there. I had this stuff on for the full 12 hours, and I am happy to report that my foundation and face makeup held on all throughout wear time. I have oily skin, and I didn't feel the need to touch-up my oily areas by mid-day, which is a feat in itself. Overall: I have never been very fond of face primers in the past, but this gem has been part of my daily routine since day one, and I just know it's going to stay that way for a long time. I have never been so excited about a face primer like I am about this one. 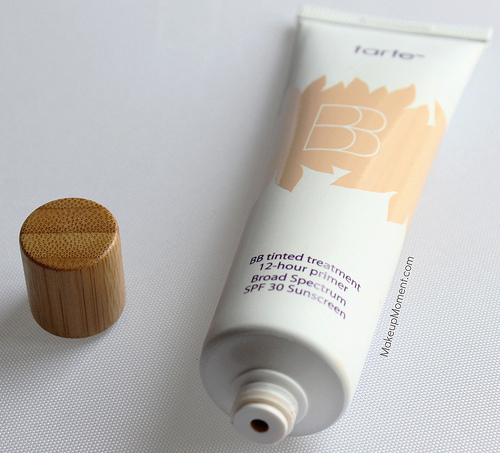 Tarte's BB Tinted Treatment 12-Hour Primer is all that, and then some. This is so much more than just an ordinary primer. This product takes priming to a whole other level. The merging of the BB tint with the primer compliment each other so well, that as a result, an amazing product was born. This is a sure winner in my eyes, and I can't recommend this face primer enough. I don't think you will be disappointed with this one. 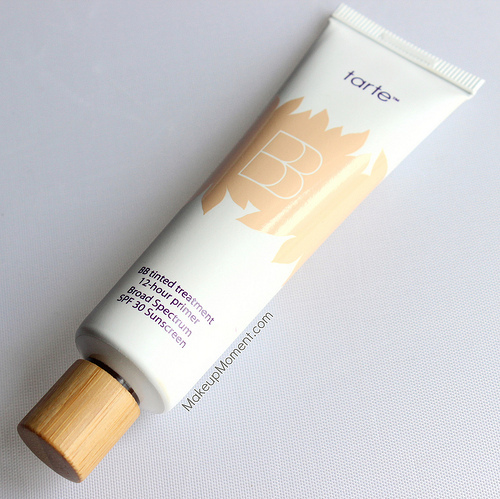 What do you all think of Tarte's BB Tinted Treatment 12-Hour Primer?